Again for Simon Says Stamp Monday Challenge - Inspired by Music. 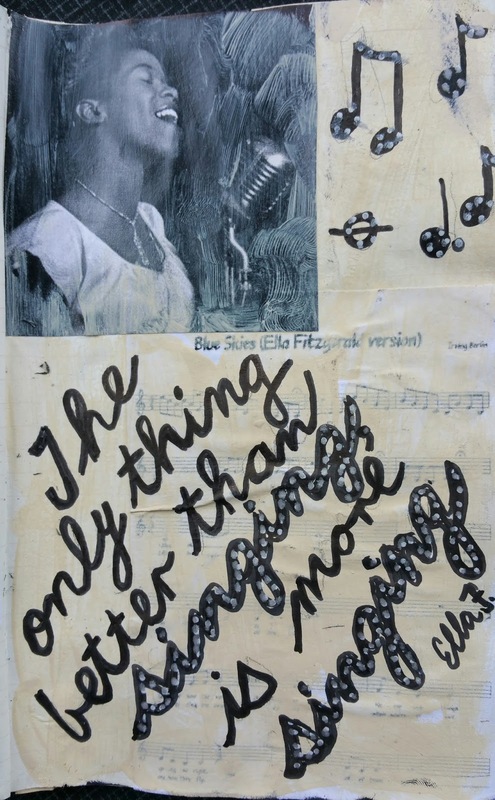 Who could resist this saying by Ella Fitzgerald! They say that singing is one of the best things for making you 'feel good' - singing, and more singing. What a fantastic tribute to an amazing musician! Ella's voice always soothes away the stressful moments of a day and I love how you chose to highlight that quote! I really like the way you did the lettering and how you included a picture of her. The picture could not be more perfect in terms of tying this whole piece together! 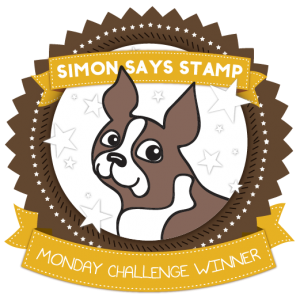 I thoroughly enjoyed this piece and the inspiration behind it and am so glad you shared your talents with us for this week's Simon Says Stamp Monday Challenge! Thanks so much Andrea. Thought this was pretty simple but glad you liked it. Music surely does add a deeper dimension to our lives.